In 2000 the Bill & Melinda Gates Foundation donated $210 million to the University of Cambridge to fund an international postgraduate scholarship programme for students who are not just academically outstanding but also show a strong commitment to improving the lives of others. This remains the largest single donation in history to a UK university. Since the first cohort of Gates Cambridge Scholars in 2001, more than 1,600 scholars have been selected from over 100 countries. This year’s cohort of 90 Scholars - the Class of 2019 - includes citizens from 37 different countries and the first scholars from Burundi and Mongolia. This year 27 universities have produced their first Gates Cambridge Scholar. Two-thirds of the scholars-elect will pursue PhDs and their subjects range from cybersecurity, human trafficking and the heritage and identity of the Caribbean to early detection of oesophageal cancer and the genetics of TB resistance. Victoria Herrmann, President of the Arctic Council think tank, has been recognised in Apolitical&apos;s World&apos;s 100 Most Influential People in Climate Policy for 2019, alongside Sir David Attenborough and Greta Thunberg. Carol Ibe has presented her research and the work of her non-profit education organisation, the JR Biotek Foundation, at the Bill & Melinda Gates Foundation&apos;s Grand Challenges meeting. Greg Nance [pictured above] has completed the World Marathon Challenge, running seven consecutive marathons on seven different continents to raise money for his award-winning non-profit, Moneythink, which teaches high school students in disadvantaged areas to make and manage money. Jakub Szamalek has published a bestselling novel in Poland which provoked widespread discussion about the dangers of cybercrime. As a young child with two younger siblings who have sickle cell anaemia, Aisha spent a lot of time in hospitals. The fact that she didn&apos;t have the condition gave her pause to reflect. She says: "People would sometimes explain that I was just simply the “lucky” one, but the feeling of guilt did not settle well with me." 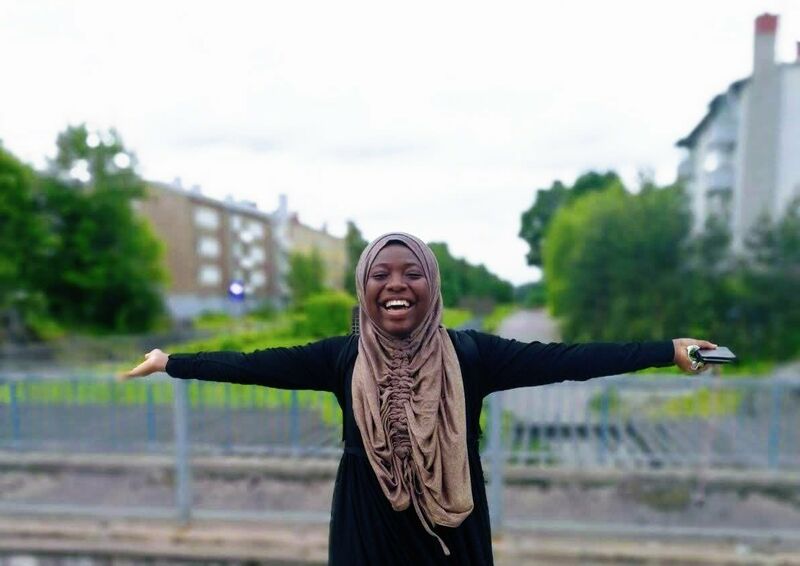 That early experience growing up in Ogun State, southwestern Nigeria, led Aisha to study Biomedicine at the Karolinska Institute, Sweden, where she developed an interest in cancer research. Her research in Medical Science will focus on contributing to early diagnosis of oesophageal cancer through the identification of biomarkers that make patients more susceptible to the disease. Aisha plans a career with one foot in research and another in medicine. She says: "There is a saying that I personally live by which has remained with me since the first time I heard it. It goes along the lines of: “When we live for a cause greater than ourselves, we become a tremendous blessing to the world." As an undergraduate at the University of Notre Dame in the US, Gregory independently gathered data from around 9,000 participants in 105 countries in nine different languages to get a comprehensive picture of subjective well-being across cultures. “I was interested in how we can generalise basic traits like happiness across cultures so we can get an accurate picture of depression,” he says. He will bring that ambition and passion to his PhD in Psychology which will focus on how the digital world can improve mental health. Gregory - who has ADHD and wants to show others that an ability to think differently about problems is an asset - believes better mental healthcare begins with culturally-inclusive, person-specific assessments informed by ethically-collected data. “I want to use the data I have gathered for the social good,” he states. Anna&apos;s PhD in Multi-Disciplinary Gender Studies will compare the UK&apos;s Modern Slavery Act with the US’ Trafficking Victims Protection Act. She wants to go back to the roots of the acts and look at ways to reposition trafficking as a human rights concern rather than a criminal issue. That would mean emphasising victim support and resources over punitive measures. She feels this is the best way of reducing trafficking. Anna, who was also awarded a Gates Cambridge Scholarship for her master&apos;s, says: "The best tool traffickers have is a restrictive immigration system. It’s their best friend. They tell victims that they will be kicked out of the country if they report the abuse – and the government’s treatment of immigrants backs this up. We need to break that loop." In addition to her studies, Anna was the coordinator of the sexual assault prevention and awareness centre at the University of Michigan, where she did her undergraduate studies, and on graduation worked for a national human trafficking hotline. Brandon will do a PhD in Biochemistry focusing on the interaction of Toxoplasma gondii, the parasite that causes toxoplasmosis, with its host cell. For his master’s in epidemiological research Brandon studied the development of cardiomyopathy in patients with Chagas disease. He has worked in Argentina, Chile, Peru and the United States where he was awarded a fellowship in research from the Johns Hopkins University. Besides his academic work he is interested in youth development and has been selected as a Bolivian Youth Ambassador as part of a programme sponsored by the US Department of State. Etienne Mashuli is the first Gates Cambridge Scholar from Burundi. Born in Rwanda, his earliest memories are of life as a young refugee. His recent master’s at Yale has focused on the mass atrocities he left behind and their consequences. For his PhD in Politics and International Studies he will look into the experiences of an extremely marginalised group in the African Great Lakes region known as the Batwa. He is interested in how colonial and neo-colonial notions of eugenics have turned the Batwa into a de-politicised group which has no say in its political, economic and social future. Onon is the first Gates Cambridge Scholar from Mongolia. She will do an MPhil in Conservation Leadership which will investigate ways to incorporate sustainable practices and standards into supply chains, drawing on her recent experience of managing a market-based conservation project in Mongolia called the Sustainable Cashmere Project. Mahlaqua grew up in Pakistan and moved to Germany to study Biochemistry and Cell Biology at Jacobs University where she designed microcapsules for T-cell activation which plays a crucial role in the human immune system. For her undergraduate thesis in neuroscience and neurodegenerative disease, she is using mouse models to research the role of the protease, cathepsin K, in the choroid plexus, a network of cells that produce the cerebrospinal fluid in the ventricles of the brain. Mahlaqua is an Assistant Editor at ‘The Journal of Young Investigators’ where she reviews scientific manuscripts submitted by undergraduate researchers and is passionate about science communication. She has also served as the President of ‘Explore Bremen’, a student-initiated outreach club that mentors socio-economic disadvantaged children. For her PhD in Medicine she will be investigating how to modulate natural killer cells in our immune system in relation to Human cytomegalovirus, which can be fatal in immuno-compromised patients. Ibrahim is interested in the acute problem of housing vacancy in Egypt. He will begin a PhD in Architecture which will explore the problem in Cairo, addressing questions of access to housing, fairness in resource management and social justice. As a student at the German University in Cairo, he co-founded a Students’ Architectural Association. He hopes that his research will have relevance to developing African and Asian cities. Through his PhD in Medical Science at the Cambridge Institute for Medical Research Bingnan will identify the genes that make people susceptible to tuberculosis. His ultimate aim is to understand the fundamental mechanisms of our immune system so that genotype-specific therapies can be developed to treat TB in the most effective and efficient way possible. Otilia is interested in the impact of artificial intelligence on the workplace and specifically in limiting its potentially negative social effects. Her MPhil in Innovation, Strategy and Organisation will focus on how to integrate Artificial Intelligence in the existing workforce in a way that fosters innovation. Otilia has a strong interest in robotics. During her undergraduate studies she led a robotics society, did prize-winning research at Google Digital Garage on digitalisation and skills acquisition and worked as a robotics instructor. Her interdisciplinary approach was further reflected in another award-winning project on the integration of immigrants which she presented at international conferences. She has also interned for the Romanian Government and the Australian Government and says these experiences have fuelled a fascination with operational strategies. This year also sees a Gates Cambridge first - the first Gates Cambridge scholar couple where both scholars were selected after interview. Emiliano Cabrera Rocha from Bolivia will do an MPhil in Latin-American Studies while his partner Theo Di Castri from Canada will do a PhD in the History and Philosophy of Science. What distinguishes Gates Cambridge, apart from the generosity of the scholarship, its emphasis on social leadership and the fact that there is no age limit on who can apply, is its sense of community. From the first cohort to the current one, scholars have dedicated themselves to building a network of dynamic individuals through the Scholar-led Gates Cambridge Scholars Council. Marina Velickovic, President of the Gates Cambridge Scholars Council, said: "The Council is a rich and diverse body which provides a unique level of personal and professional support. We organise events that represent the academic breadth and depth of the scholarship programme and scholars&apos; potential for social engagement and leadership. Through these community-building activities, scholars not only learn from each other and sometimes end up collaborating on projects together, but also form strong, enduring friendships." The Gates Cambridge network continues long after scholars have finished their studies through the work of the Gates Cambridge Alumni Association. The association organises events around the world, including the annual Lauren Zeitels Memorial Lecture. This year the GCAA has held a dozen welcome events around the globe, including a Great Wall hike and rubbish run in Beijing in March. A scholar-alumni summit on Brexit and the European future will be held in the medieval town of Sibiu, Romania, in May. Professor Barry Everitt FRS FMedSci ScD, Provost (CEO) of the Gates Cambridge Trust, said: “The Scholars-elect have been selected to reflect the mission of the Bill and Melinda Gates Foundation’s generous and historic gift to the University of Cambridge. Like their predecessors, they are an extraordinary and diverse group who have already made their mark in their academic studies and demonstrated impressive leadership qualities. "We are particularly delighted that we were able to offer awards to a large number of PhD scholars. We are sure that our 2019 cohort will flourish in the vibrant, international community at Cambridge as Gates Cambridge Scholars and beyond, making a substantial impact in their fields and the wider global community." More details about the Gates Cambridge programme and the full class of 2019 scholars are available here.